Discover how the various branches of Chinese medicine can be integrated into your life to ensure the best, holistic outcome to any health problem. 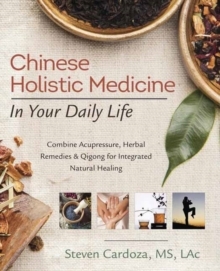 Chinese Holistic Medicine in Your Daily Lifeteaches you how to improve your wellness each day through acupuncture, herbal medicine, physical therapies of tuina, taiji and qigong, and other effective methods. Presenting philosophical wisdom and practical self-care, this comprehensive guide first teaches Chinese medical theory, and then shows you how to apply the featured principles to treat illness and promote longevity.